Hey all and happy Friday! I am currently en route to New York for Fashion Week and hoping the weather will be a tad bit better than Chicago, although I don’t think it could be worse! I will be here for about 6 days, so really trying to do and see a lot while I am here! I will be back home just in time for Valentine’s/ Galentine’s Day and I am so excited! I don’t have a significant other and am also not dating anyone at the moment, so sharing this day with friends and family is so important to me! 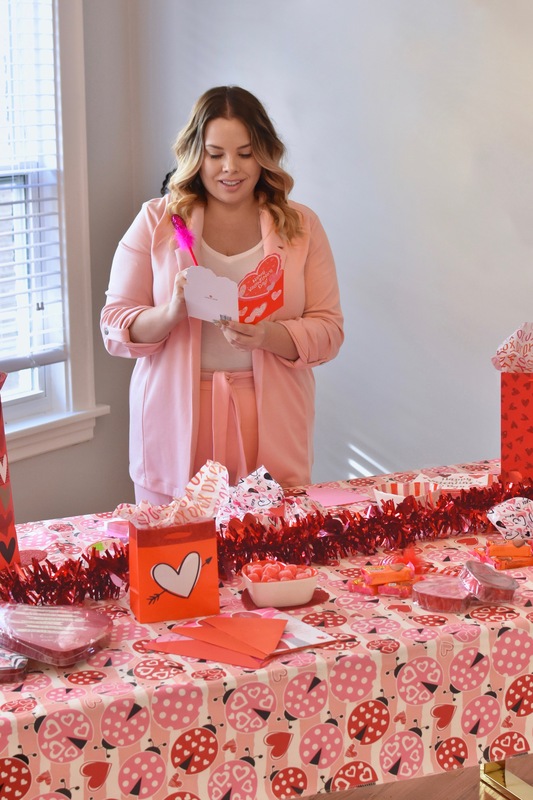 I loveeee to decorate for any Holiday, and Galentine’s Day is no exception! You may remember my post from the Holidays with Meijer (find it here) where I talked all about holiday wrapping and cheese boards. I was able to grab everything I needed for the Holidays from Meijer, and thankfully, this special day was no exception! I really dislike going to several stores to shop, and with the weather here in Chicago in the last month… it need to be a “one and done” type of shopping trip. It snowed for almost 2 weeks straight here, not to mention the 3 weeks of below 20 temps! So, when I went to Meijer, I was soooo thrilled they had everything I needed, including my cute pink suit. I am sharing a little below of all my decor, bags, gift wrap, and even my outfit, which will be worn into spring as well! Everything shown in the photos is from Meijer: tablecloth, gift bags, tissue paper, bowls, candy, etc. Hope you all have a wonderful Friday and amazing weekend ahead! I am that person that buys an entire printed tablecloth and foam hearts to go on top as well! The tablecloth was so fun with all the hearts and lady bug prints, and I loved it because it was fully lined (not a thin plastic or vinyl) as well and only $4.99! My living room has a black and white theme to it, so when I decorate, it need to be a bit more over the top with decor. I also really love themed candy, so these cinnamon hearts were a must. 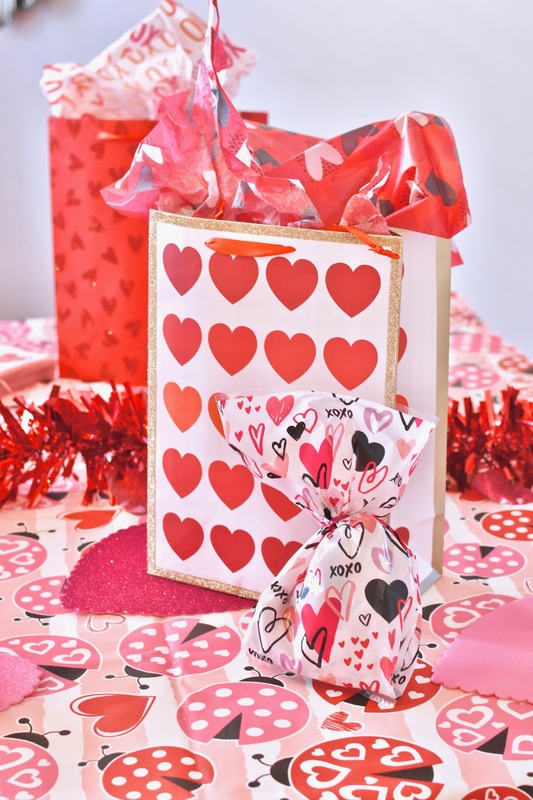 Can we just talk about how Valentine’s Day has some of the most fun gift wrapping options, with the cutest prints. There were so many options for gift bags and tissue, so I figured I would mix and match and get quite a few options to wrap gifts with. I also got little treat bags as well, which I usually put a ton of candy into and give to my family, friends, and even some people I meet with around this time! 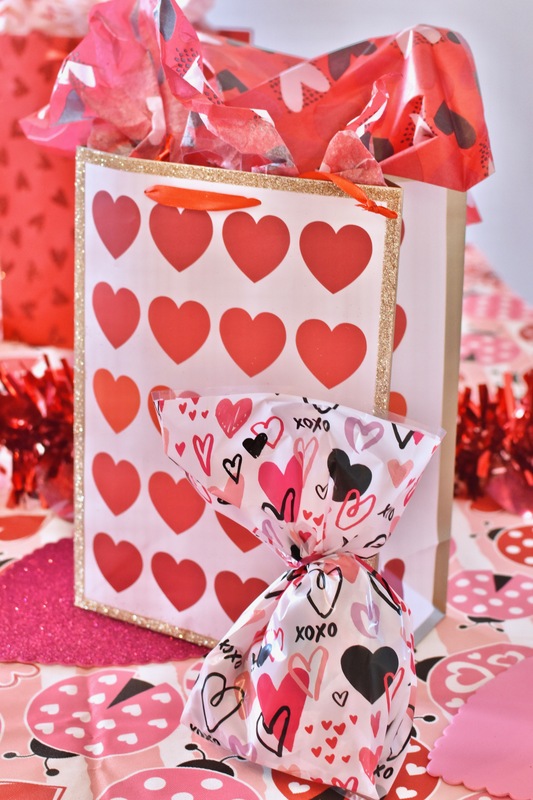 The gift bags are such a fun way to give a small surprise to someone… and who doesn’t love candy?! I saw these Fall’s Creek leggings ($14) in store and knew I had to have them for gifts! I have a few younger cousins who really love fun and bold prints, so these were a perfect way to buy something cute and themed without breaking the bank! They had matching shirts in store as well, that could easily pair with these leggings. They had quite a few different options and prints, so definitely something for anyone! 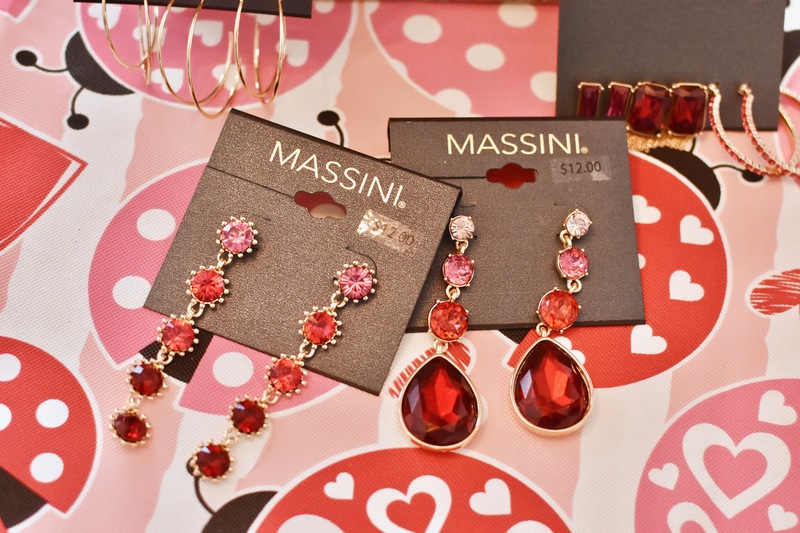 They also had a TON of fun jewelry in store, not just for Valentine’s Day, but also super on-trend pieces as well! I picked up a few pairs to wear solely for Galentine’s Day, and a few pairs to gift as well! While I was there, I also picked up some other hoops and studs to wear for my everyday life as well. So, this is my super cute suit that I picked up as well! It has been sooo cold here, I was not able to get my normal photos outside in front of a fun well, so those photos are pending at the current moment! When I was shopping, I knew I wanted something a bit different from what I normally opt for, and these pants were the first thing I grabbed! The pieces weren’t hanging together and I don’t think it was meant to be a suit, but I ended up making it one! The pants are a tad darker than the jacket, but I really love how the combo turned out together! They are both super comfy and easy to move and eat tons of candy in. I am loving that outfit! I wish we had a Meijer closer it would be easier to shop all at one store! 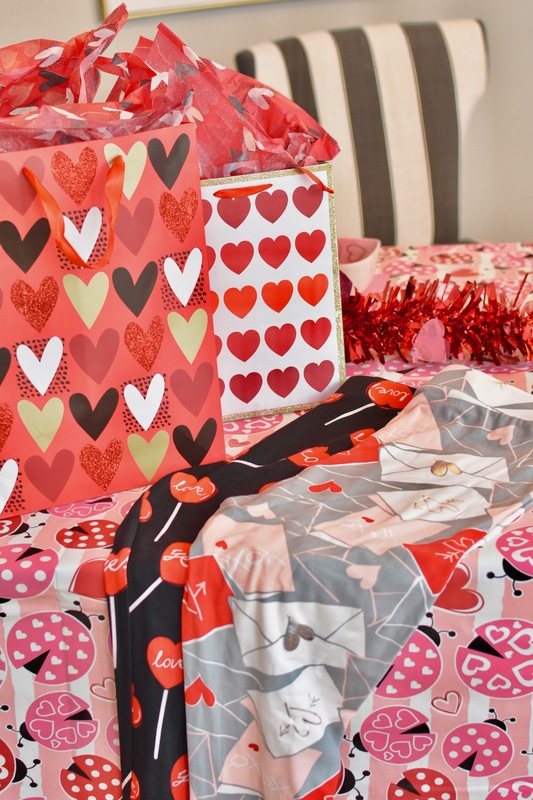 So many fun goodies for Valentines Day and your outfit is perfect! I love your pink outfit and all the party supplies! Those earrings are really pretty too! This looks like such a fun time! 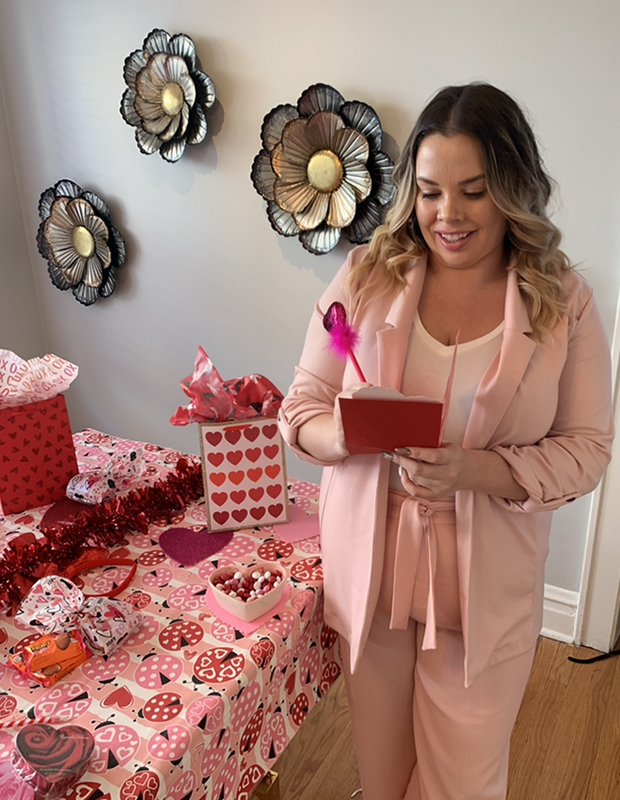 I love all those cute Galentine’s Day decor options and your power suit is on POINT! OMG how fun is this?!?!? 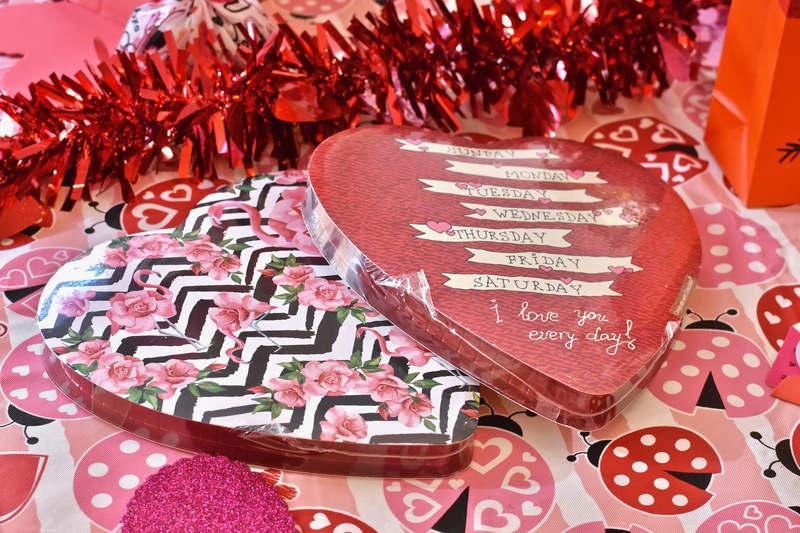 I love Galentine’s Day – such a cute way to celebrate girlfriends. 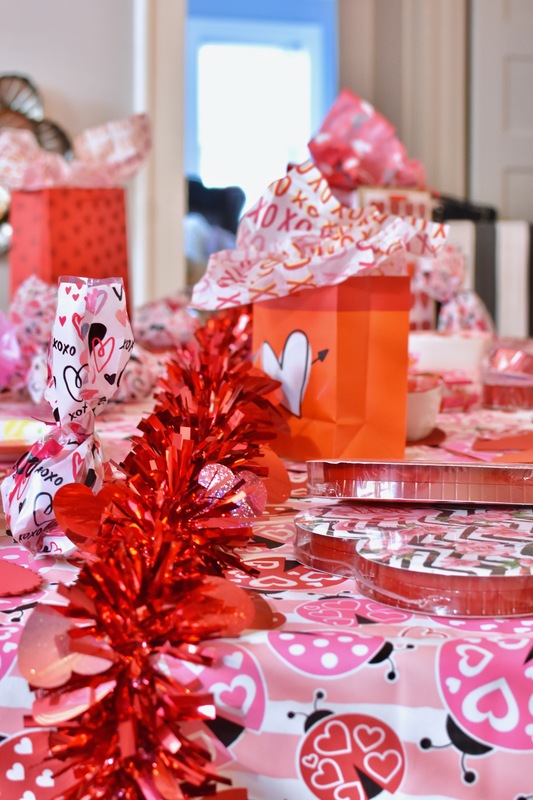 This looks like the perfect Galentine’s Day celebration! I love it! These valentines decorations and gifts are so cute!!! I can never have enough pink and red! And have so much fun at fashion week!! Love this cozy outfit! I would be in loungewear all day if I could. 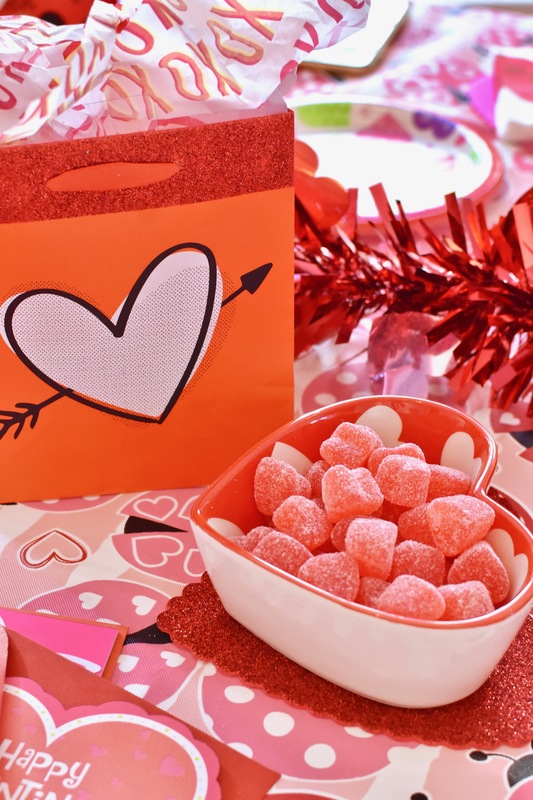 Also, these are such cute ideas for a wonderful galentines day! I wish there was a Meijer in DC – the decorations all looks o fun! This is seriously such a cute setup!! Love all your party decorations! Definitely wish there was a Meijer in CA! !